Last minute wellness hotels in Hungary with online reservation. Affordable wellness spa and thermal hotels in Budapest and in Hungary. Wellness weekend at Lake Balaton, in Heviz, Sarvar, Bukfurdo, Egerszalok with discount half board packages. Visit Hungary and spend a wellness weekend at affordable price! 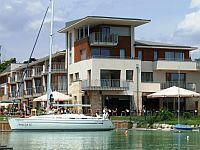 Ket Korona (Two Crowns) Conference and Wellness Hotel is located on the southern shore of Lake Balaton, in one of the most popular resort areas of the lake, in Balatonszarszo. 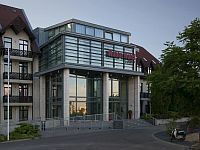 In the family atmospheric four-star hotel standard and superior rooms with free WiFi Internet connection, a brand new wellness center and high quality conference services are available for the guests. Zichy Park Hotel**** is located beside highway 63 ca. 120 kms far from Budapest in the neighbourhood of Bikacs colony. 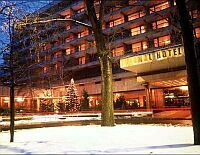 The 4-star wellness and conference hotel, which unifies the style characteristics of modern architecture and old hungarian country style construction elements, offers smart refurbished, well equipped rooms, own restaurant, grill terrace and closed parking for its guests. The visitor's perfect relaxation are ensured by a wide range of wellness services and various program alternatives. Spend an unforgettable weekend in Zichy Park Hotel, explore Hungary's most beautiful landscapes. The 4-star wellness hotel Piroska**** is located in Western Hungary in the vicinity of spa Buk (Bukfurdo) famous for its medicinal water. The familiar hotel offers 92 non smoking rooms and a restaurant. The hotel’s wellness area awaits the guests with indoor whirlpool basin, outdoor swimming pool, Finnish sauna, Turkish steam bath, aromatherapy, tepidarium, cure centre (with special massages and wellness treatments) and beauty salon all year round. The four-star superior wellness and thermal hotel Greenfield Golf & SPA **** awaits its guests in Bukfurdo in beautiful surroundings. The 3500 m2 Spa and Sauna World, the elegantly furnished rooms and suites, the medical treatments and the 18-hole Championship golf course located only 200 metres from the hotel offer the unique possibilities of relax, refreshment and healing. The 4-star Hotel Caramell****, opening in December 2005 in Bukfurdo, is the first holistic spa- and wellness hotel of Hungary. The brand new spa hotel awaits the guests with 80 rooms. The hotel offers not only the traditional therapeutic and wellness services, but also the latest methods of the alternative naturopathy. The modern wellness center of Hotel Caramell offers everything you would expect from a high level hotel. The 3-star Corvus Hotel Buk is located about 100 metres from the world famous Buk Health Spa in Bukfurdo. The hotel has an own modern therapeutical centre where guests can take advantage of various health and wellness treatments. The hotel’s Mátyás Restaurant welcomes its guests with Hungarian, international and dietary dishes. In the vicinity of Corvus Hotel Buk there are various sports possibilities: cycling, riding, golf, excursions, etc. 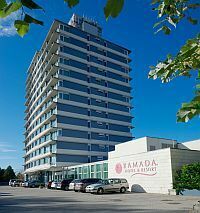 Hotel Aquarell **** is located only 65 km far from Budapest, in Cegled, near the city’s Thermal Bath and Aquapark. The first 4-star wellness hotel of Cegled opened its gates in 2007, where comfortably furnished rooms, own wellness and health center, beauty parlour, excellent restaurant, several air conditioned meeting rooms and our dedicated staff work for your satisfaction and comfort in order to make you a regular guest of our hotel. JUFA Vulkan Resort Hotel **** awaits its guests in Celldömölk, in unique natural surroundings from December of 2013. 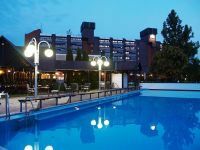 After Germany and Austria, as the first JUFA hotel of Hungary, the four-star JUFA Vulkan Resort Hotel **** awaits its guests in the volcano city with air conditioned rooms, a camping, wellness services and thermal bath. JUFA Vulkan Resort Hotel offers several opportunities to the guests who want to relax, love sport or arrive with young children in every season.